Maturity. Any day is a good day to read about the redemptive power of love. 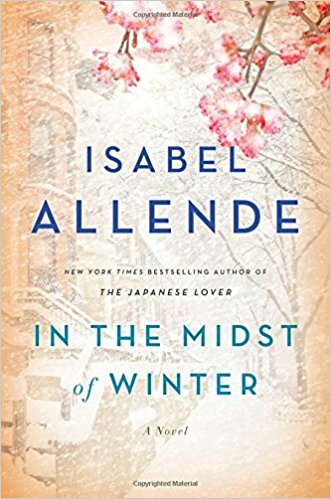 In her novel titled, In the Midst of Winter, Isabel Allende draws three dissimilar characters together to tell each other their personal stories. Experiences in Latin and South America about human trafficking and immigration bring them together, and the care they show each other becomes a driving force in the plot. Allende explores how maturity can deepen the love that can develop between people approaching the sunset of their lives. Rating: Four-star (I like it) Click here to purchase In the Midst of Winter from amazon.com.